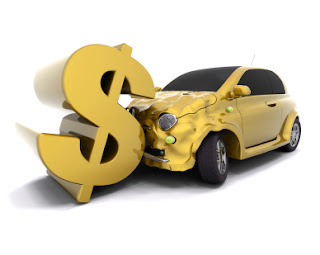 Home » Auto insurance » Car insurance » Insurance » The Car Insurance Company : How Important is Your Choice? The Car Insurance Company : How Important is Your Choice? The search for a car insurance policy can be complicated. In this article, we look at the car insurance company behind the policy. How much weight should be given to this factor alone? You may already have spent some time in researching car insurance companies, reading reviews online, and comparing the car insurance rates offered. However, the question remains – how much should you care about which car insurance company you go with, as opposed to caring about the policy itself? Which is more important? This is no easy question to answer. Yet there are some key factors that might help you make a decision. Sometimes, a good enough car insurance company is exactly that: good enough. In weighing the importance of the car insurance company against the actual policy, it may be a simple call if the policy and the car insurance rates are truly outstanding while the company is so-so. For example, say that you go to compare car insurance quotes online and you find an excellent policy that is very reasonably priced. You may follow through by researching the insurer before you buy. After you do some homework, you learn that while it is not a "perfect" car insurance company (none are), it is reputable enough and its customers are reasonably happy on the whole. In that case, there's no big reason not to go for the best insurance deal. In other cases, if the car insurance rates are nearly the same for two different insurers' policies, you may give more weight to choosing the insurer that you like the most after doing some research. What if life isn’t that simple? For example, the leading companies in your car insurance comparison may have received some questionable reviews and customer feedback. You may learn that the company or companies you were considering have a history of less-than-ideal customer service. Would this put you off buying your insurance from them? It is not only the positive weighting of a "good" insurer, but also any potential negatives, that you must consider. However, don't be put off by one or two customer complaints, as they may be the exception rather than the rule.. In approaching this type of situation, you should make sure that when you compare two or more insurers, you compare their reputations alongside the actual car insurance policies. You might find some important coverage differences that will clarify the differences in the rates or the customer satisfaction surveys. After all, you have to know what you’re working with to make the right decision. If it comes down to choosing one of two or more companies with similar reputations and similar policies at similar prices, let one word guide you: convenience. How comfortable do you feel with each company's customer service contacts and claims procedures? Is someone avaiable to help and answer questions day or night? Does ther website offer all the information and forms you require? 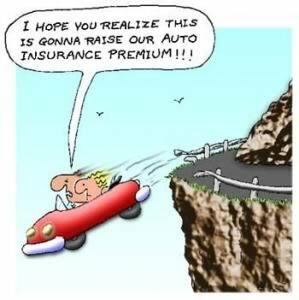 You may have to draw a line between what would and would not be a problem for you with a car insurance company. Maybe some inconvenience in contacting them is manageable. However, a history of rejecting high numbers of claims may be more worrying to you. You have to decide what your comfort level is and what you are looking for in an insurer. In most cases, the more you learn about the policy and the company, the easier your car insurance comparison and final decision become. As you can imagine, it is important to weigh up both the policy and the car insurance company, against others and against each other. It is up to you, in the end, to choose where the balance should be for your individual situation.